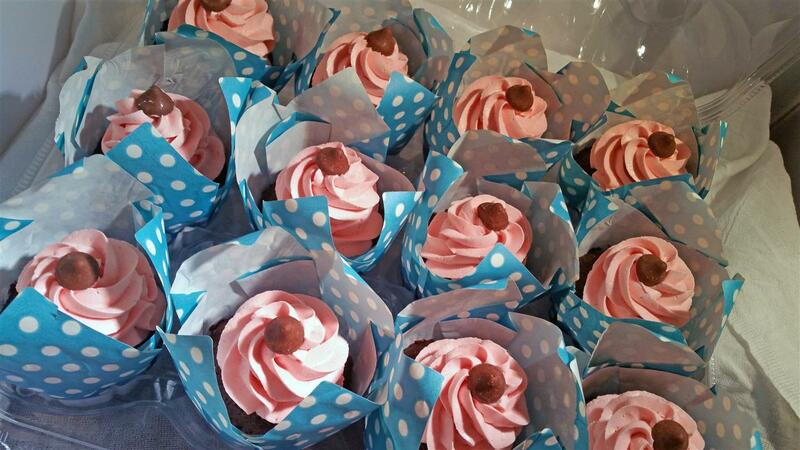 We love catering showers, there’s so much hope and excitement and cupcakes compliment the super cute occasions! This event was a baby shower for a baby girl, and the future mom had already picked out a room paint color! 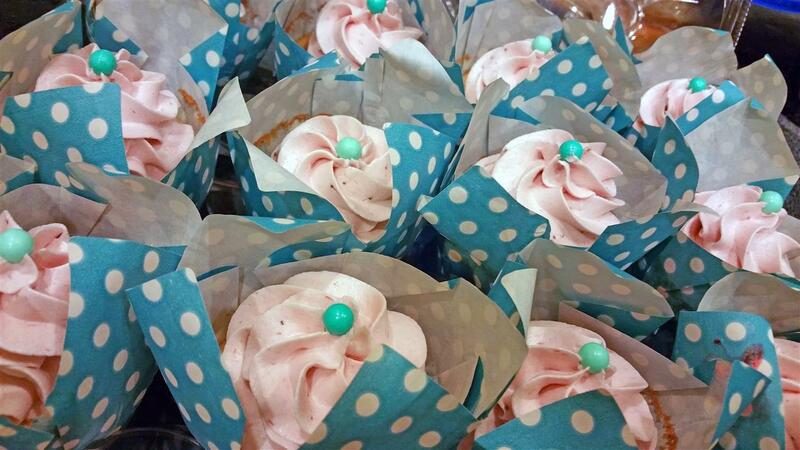 We used these adorable teal tulip wrappers to compliment the room color, and added a touch of pink in the frostings. The one flavor was easy, since we used handmade strawberry jam to flavor and tint the frosting pink. The second flavor was a bit of a challenge! The cake was our most requested dark chocolate cake, and the frosting was to be peanut butter. Usually peanut butter and pink don’t mix well, but we worked hard to figure this out! We used a great product we already had in our kitchen, PB2. It gave the frosting a lighter coloring, which let us tint the frosting a lovely shade of pink. We love to challenge ourselves and work with our clients wants and needs! Copyright © 2019 CuppingCakes.com - Gourmet Cupcakes: from 6 to 600!.